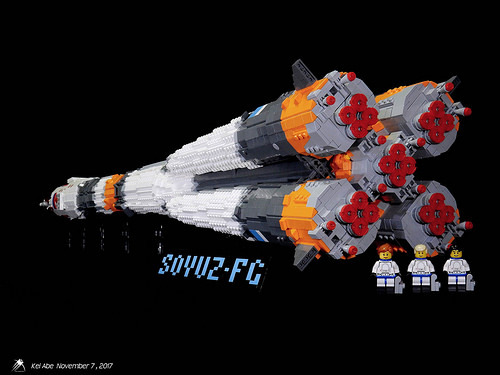 Japanese builder KEI ABE isn’t just an expert on the history of early space exploration, but also nails the construction of Russian Soyuz spacecraft in LEGO bricks. 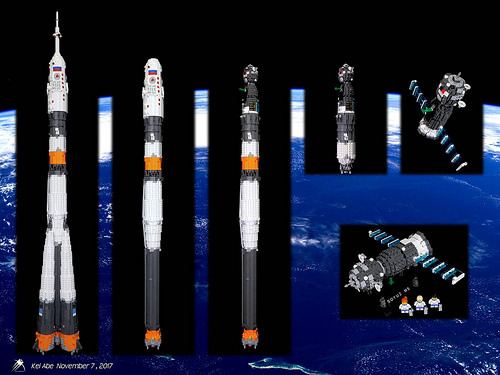 He started this amazing set back in March, and now a whole fleet of Soyuz ships is ready for countless space missions. 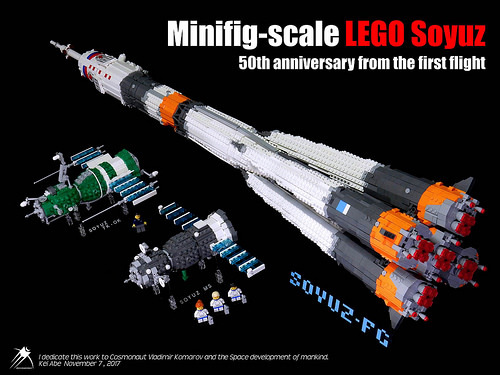 This incredible rocket even includes the various stages, and the manned capsules fit neatly within the outer hull. Vast surfaces of exposed studs lend an interesting effect to the model, and it’s so hard not to fall for some small, yet very pretty details. The builder’s Flickr album is a perfect place to explore each build and compare them with their prototypes side by side. 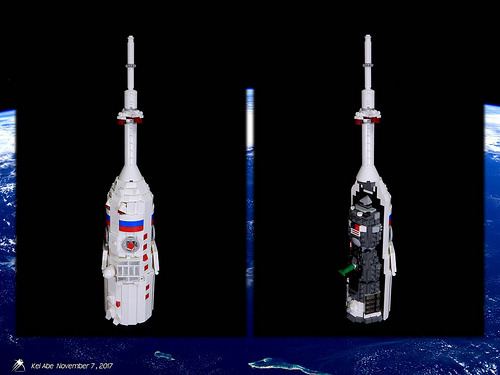 And although the scale is different, this Russian marvel would make the perfect counterpart to LEGO’s official Saturn V rocket. For the spacecraft stored in the fairing, I split the spacecraft and the fairing into halves and jointed them. Just incredible! 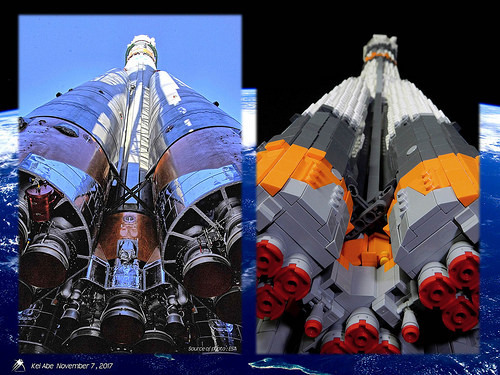 Love the side by side pics of the real craft and the model. So accurate!